Osaka, Japan – Influenza is a highly contagious respiratory disease of global importance, which causes millions of infections annually with the ever-present risk of a serious outbreak. Passive vaccination is the only method available for partial control of the virus. Rapid diagnosis of influenza has been explored to prevent outbreaks by enabling medication at very early stages of infection; however, diagnostic sensitivity has not been high enough, until now. 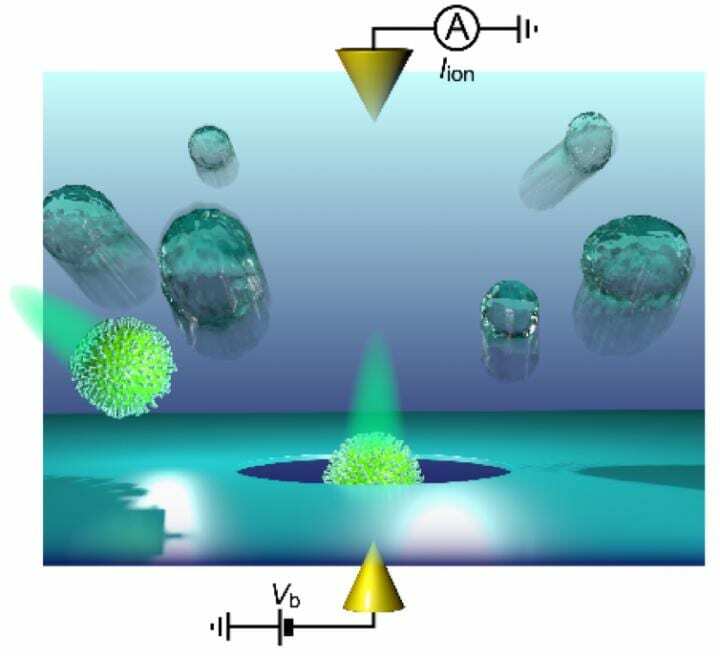 The article, “Selective detections of single-viruses using solid-state nanopores,” was published in Scientific Reports at DOI: https://doi.org/10.1038/s41598-018-34665-4. Osaka University was founded in 1931 as one of the seven imperial universities of Japan and now has expanded to one of Japan’s leading comprehensive universities. ?The University has now embarked on open research revolution from a position as Japan’s most innovative university and among the most innovative institutions in the world according to Reuters 2015 Top 100 Innovative Universities and the Nature Index Innovation 2017. The university’s ability to innovate from the stage of fundamental research through the creation of useful technology with economic impact stems from its broad disciplinary spectrum.